The importance of prototyping: Creative Confidence by Tom and David Kelley. 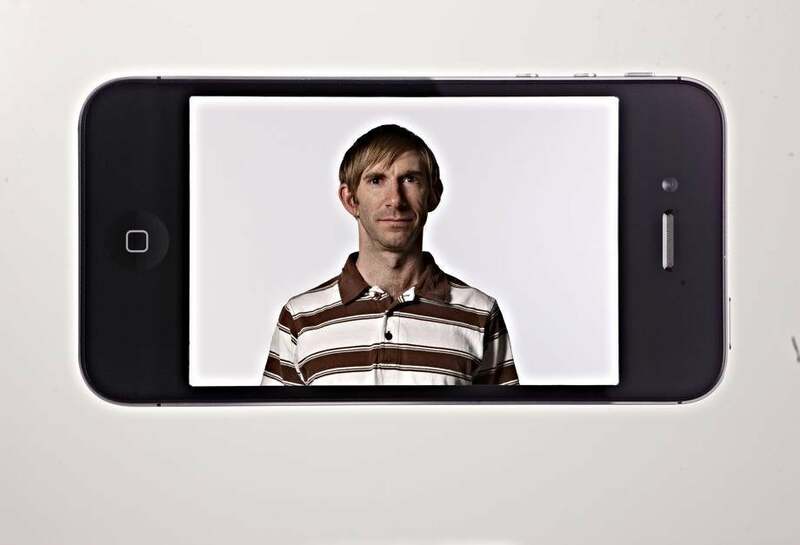 A prototype iPhone app was made in one hour. 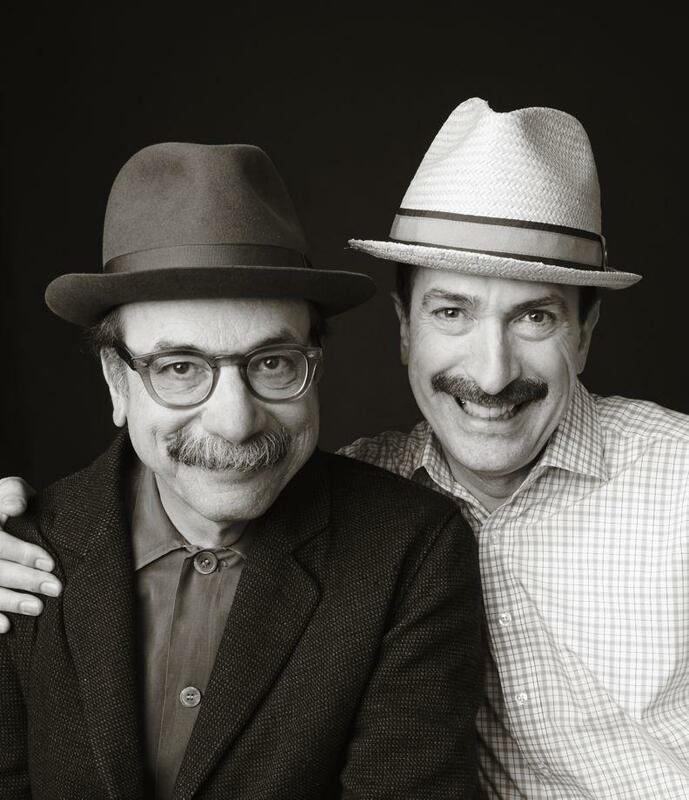 Tom and David Kelley of the award-winning Palo Alto-based global design firm IDEO have been helping private and public sector organizations innovate, grow and bring to market new ideas for 35 years; projects include Apple’s first computer mouse and a stand-up toothpaste dispenser for Procter & Gamble. In their new book, Creative Confidence: Unleashing the Creative Potential Within Us All, the brothers recount anecdotes from their work at IDEO and at Stanford’s d.school (the institute of design created by David Kelley), and offer tips to help everyone build creative muscle in an era when success depends on innovation in every field. Here at the Eye, the authors share an excerpt from the book. What’s the best way to make progress toward your goal? In our experience, it’s to build a prototype, an early working model that has become a key tool of design thinkers. If you show up at a meeting with an interesting prototype while others bring only a laptop or a yellow pad, don’t be surprised if the whole meeting is centered on your ideas. The reason for prototyping is experimentation—the act of creating forces you to ask questions and make choices. It also gives you something you can show to and talk about with other people. We often build physical prototypes. But a prototype is just an embodiment of your idea. It could be an array of Post-its to simulate a software interface. It could be a skit in which you act out a service experience, such as visiting the emergency room at a hospital. Or it could be a quick version of an advertisement describing a product or service or feature that doesn’t yet exist. Some failure is unavoidable. So you need to relentlessly seek out clever new ways to create low-cost experiments. The best kinds of failures are quick, cheap, and early, leaving you plenty of time and resources to learn from the experiment and iterate your ideas. There’s an art to prototyping in deciding what to create and how rough it should be. If you’re interested in whether the flow of a piece of software makes sense, you may just need simple wireframes of each step—quick hand-drawn sketches of screen layouts. But if you have questions about the feeling the experience evokes, creating a screenshot with the right styling may be more important. Eric Ries, author of The Lean Startup, calls such a prototype a minimum viable product, or MVP—representing the least amount of effort needed to run an experiment and get feedback. Several years back, an IDEO team wanted to illustrate new electronic features for a luxury European car company. The automaker was planning to build intelligence into both the key and the car, and the team wanted to demonstrate how the driver’s enhanced experience would look and feel. First, the team filmed someone driving an existing car while acting out the new interaction. Then, using a combination of quick physical props and simple digital effects, they made the new features come alive. The finished video clip simulated the appearance and functionality of a future dashboard with new digital displays and interactions. The result was nothing like the sophisticated special-effects wizardry you’d see from Industrial Light & Magic. But it only took a week to create, and it captured the team’s vision well enough for the car company’s executives to decide whether the feature set was headed in the right direction. “I love this idea,” one of them said. He didn’t mean the new features, but the process for testing it. “Last time we did something like this, we built a full system into a dashboard, spent many months and almost a million dollars. Then we took a video of it.You skipped the car and went straight to the video,” he said with a laugh. Besides speeding up that process of experimentation, prototypes are easy to throw away when they fail. Creativity requires cycling lots of ideas. The more you invest in your prototype and the closer to “final” it is, the harder it is to let go of a concept that’s not working. Prototyping quickly and cheaply also allows you to keep multiple concepts alive longer. So instead of making a big bet on one approach based on gut feeling (or what your boss says), you can develop and test multiple ideas. When you do pick a direction, you will be making a more informed decision, increasing your chances of success in the end. Multiple alternatives also encourage good, honest feedback about your ideas. If you go in with only one prototype, it limits your options. With multiple prototypes, you can have a frank discussion about the relative strengths and weaknesses of each. Prototypes can also help convince bosses or key stakeholders when words alone won’t do. A behind-the-scenes look reveals the secret of creating this quick, low-tech prototype. Pictured: Coe Leta Stafford (left), Adam Skaates. Just how quick is a rapid prototype? Sometimes time is very short, and every minute counts. Not long ago, toy inventor Adam Skaates and gaming expert Coe Leta Stafford were halfway through a project with Sesame Workshop to develop Elmo’s Monster Maker—an iPhone app that leads young children through the process of designing their own monster friend. They had an idea for a new dance feature in which kids could guide Elmo through different dance moves in sync with a simple music track. The two were enthusiastic about the idea, but the rest of the team was dubious. So the feature was in danger of being cut from the final product. An hour before a conference call with Sesame Workshop, Adam and Coe Leta decided to prototype the feature with whatever materials they had on hand. 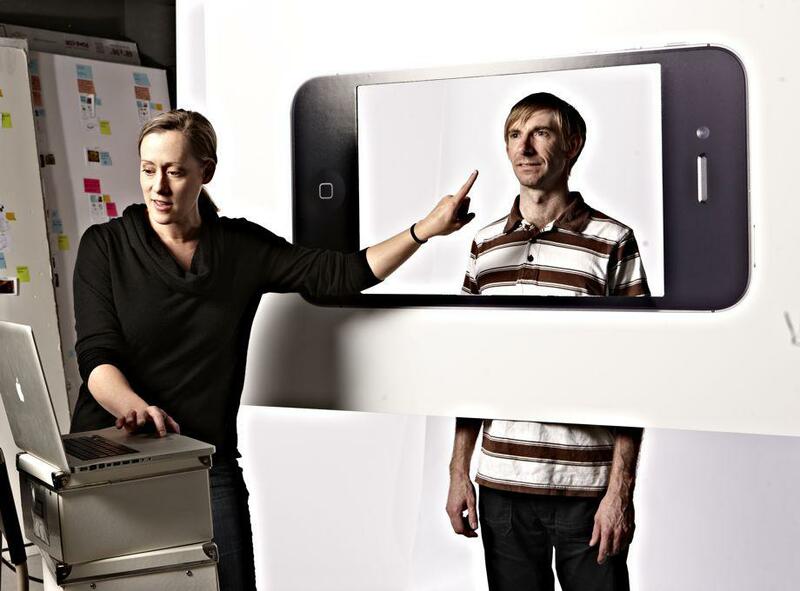 Working quickly, Adam printed out an oversized image of his iPhone using a giant plotter, mounted it on a sheet of foam core, and cut out a rectangular window where the screen would be. He then stood behind the “phone” so his body appeared in the “screen.” Meanwhile, Coe Leta set up her laptop in front of the crude prototype, pointing the webcam to- ward Adam. Putting the camera into record mode, she then moved her hand into the scene, using her finger to simulate how children would interact with the app—like touching Adam on the nose to make him start dancing. From the point of view of the webcam, the iPhone looked almost real, and Adam danced and reacted as he envisioned Elmo would. A single take, a quick edit, and the video clip was sent off to the Sesame Workshop team members just a few minutes before their meeting. Adam and Coe Leta’s quick video was fun and endearing. It was also much more persuasive than just talking about their ideas would have been. They subscribe to Boyle’s Law (named after one of IDEO’s master prototypers, Dennis Boyle): never go to a meeting without a prototype. Today, if you download Elmo’s Monster Maker from the iTunes store, you’ll see the feature they prototyped in an hour that morning. By acting quickly, they won the team over with their creative idea. Reprinted from the book Creative Confidence: Unleashing the Creative Potential Within Us All by Tom Kelley and David Kelley. Copyright 2013 by David Kelley and Tom Kelley. Published by Crown Business, an imprint of the Crown Publishing Group, a division of Random House LLC, a Penguin Random House Company. Photo by Magnolia Photo Booth Co.